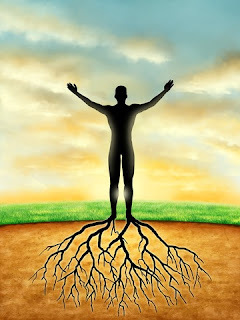 Grounding is a universal practice among many different indigenous and spiritual traditions. It's a wonderful exercise to help someone focus, reduce stress and anxiety, and it's pretty simple to do. You may want to consider making this a part of your daily routine, or use it when you are preparing to read Tarot, perform spells, or any other magical workings. Here is an easy step-by-step walk-through for you to follow. Feel free to copy/paste it into a document for your Book of Shadows or Grimoire. Step 1: Find a comfortable spot. You can sit in your favorite chair, or you can stand, lie down, etc.. whatever works best for you. If you are sitting, be sure your feet are both planted on the ground/floor. Step 2: Close your eyes. Take three really deep breaths. 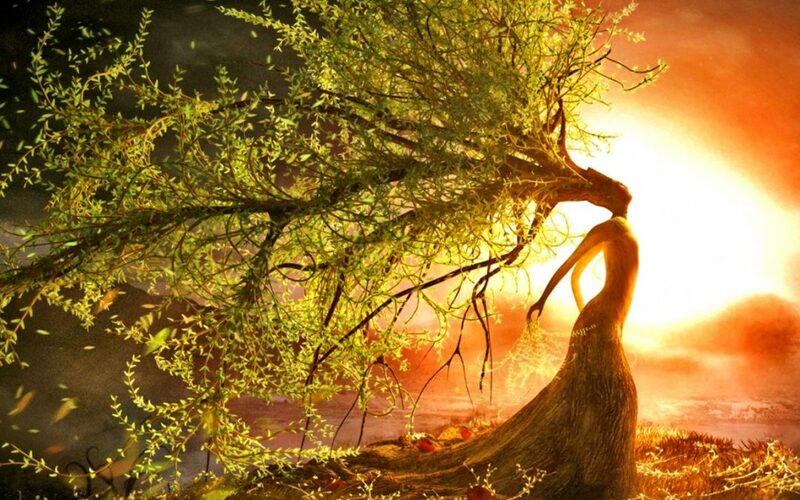 Step 3: Using your imagination, picture yourself like a tree, with roots that grow out of your feet (if lying down, just imagine roots coming out from the back of your head, neck, back, legs, and feet). 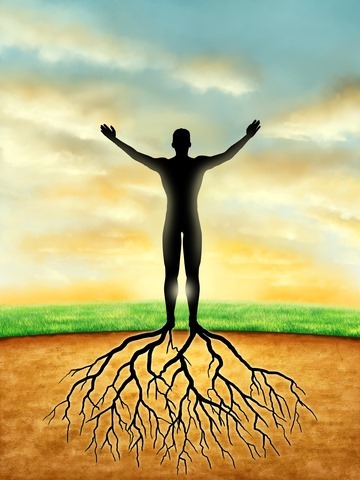 Those roots dig deep, deep into the earth. Step 4: Now, imagine roots shooting upward toward the sky. They shoot up past the earth's atmosphere, and into space. They wrap themselves around the moon. Step 5: Hold this picture of you grounded in the earth, and tied to the moon for at least 1 minute. Breathe deeply. Step 6: Open your eyes. Take 3 more deep breaths. Step 7: Begin whatever working you need to do from here.